We have been working with Dreams for the past 2 years and have helped evolve their retail environment over this time. 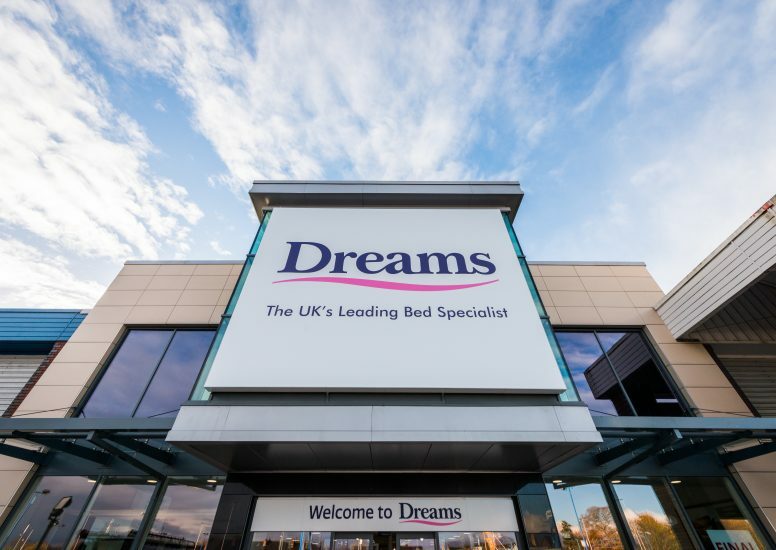 Most recently we have designed the next evolution of the Dreams store which has been piloted in Warrington. 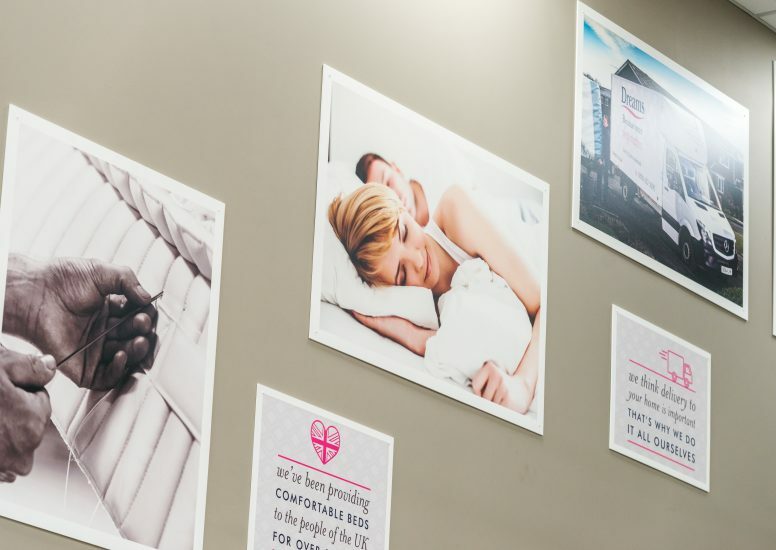 The aim of these stores is to offer a softer, more welcoming store environment whilst ensuring Dreams customers choose the right mattress for the best night’s sleep and showcase their on trend bedroom furniture and bed frames. In the stores we take customers on a step by step journey, making it as simple as possible for them to understand the Dreams’ offer and the ease with which they can make intuitive and easy buying decisions. 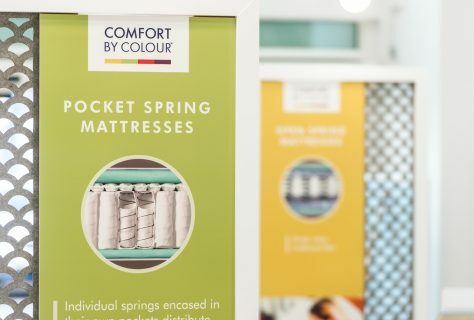 Throughout the space storytelling has become an integral part of the store with brand and product messaging used to highlight product ranges and reaffirm the brands as having a UK based factory where product is made. The graphic style is friendly and informative with more lifestyle imagery, illustrations and tone of voice added. 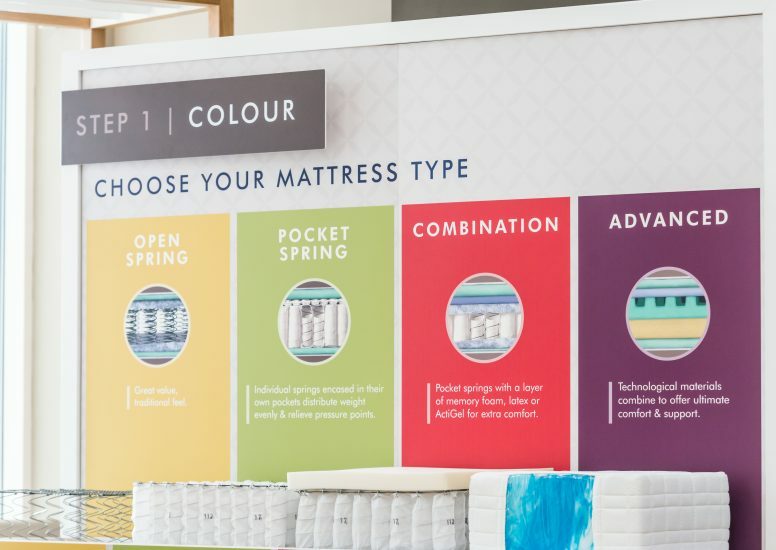 We have utilised the previously used ‘Comfort by Colour’ mattress selector and replaced with stronger creative and have simplified the buying process and added in large panels with a step by step guide and mattress examples. 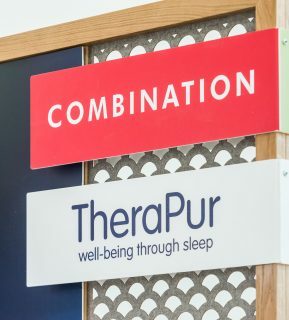 To break up product groups and aid navigation around the store we have added in textured fret cut screens which are flexible enough to move around store without blocking the view. 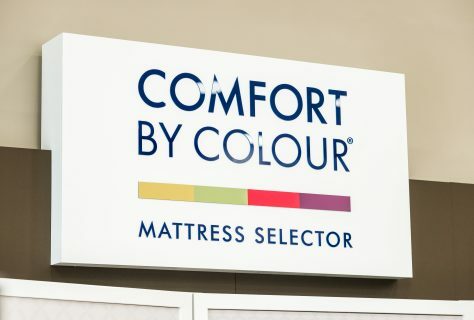 Colour coding and imagery helps with product selection. The soft wooden frames around store help tie everything together. Upstairs we have reserved for lifestyle imagery and highlighted bed frame features on get the look type imagery. 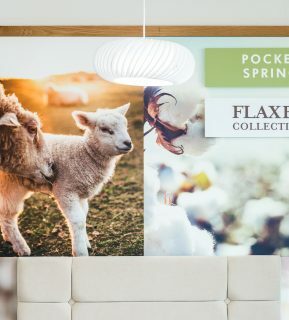 The same framing and fret cut panelling has been used to create a compelling back drop to products. The new look and feel has launched in Warrington and will roll out over the forthcoming months.